Hand-finished using a distressed gold leaf technique, the Brockwell Side Table by Robert Langford will create a striking focal point in a hallway or living room. 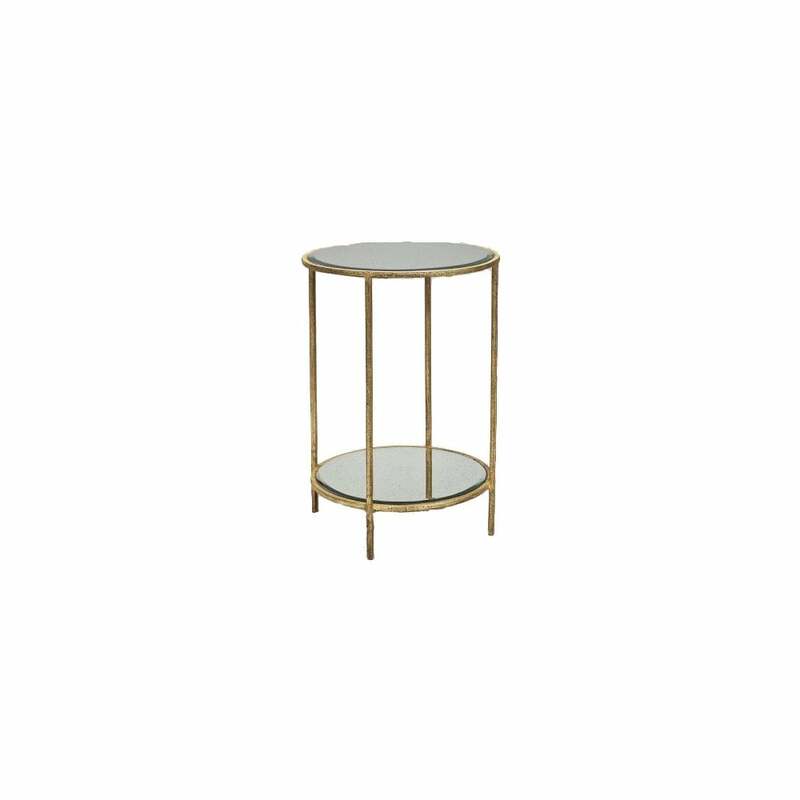 Ideal for narrow spaces, this classic design features a circular, antique glass table top and shelf. Available in three contemporary metallic colourways, place at the end of a sofa or between two cosy armchairs to add a touch of luxury to the space.